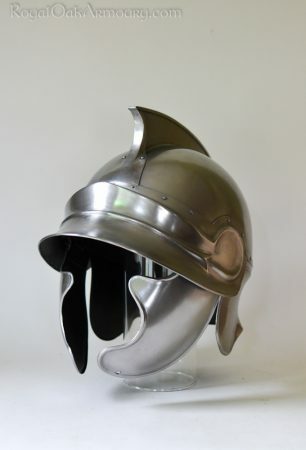 The Thracian helmet of the Hellenistic period owes its distinctive form and construction to its evolution from the Archaic Thracian helmets of Phygian cap form. 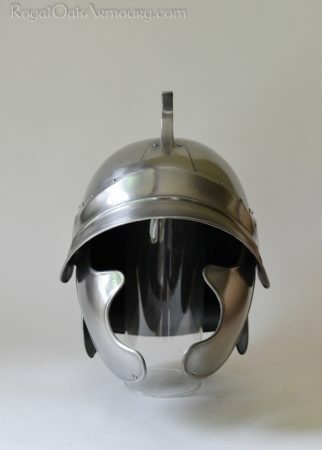 The use of iron and multi-part helmet bowl construction are also characteristic of Thracian armour technology. 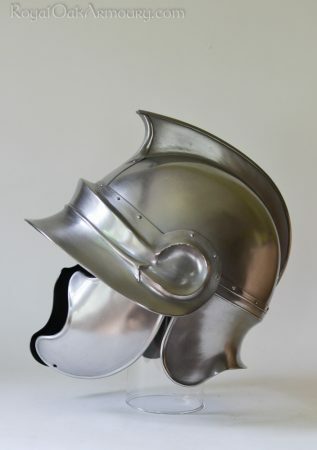 The helmet shown is constructed from mild steel, and is based on parts of several contemporary finds. 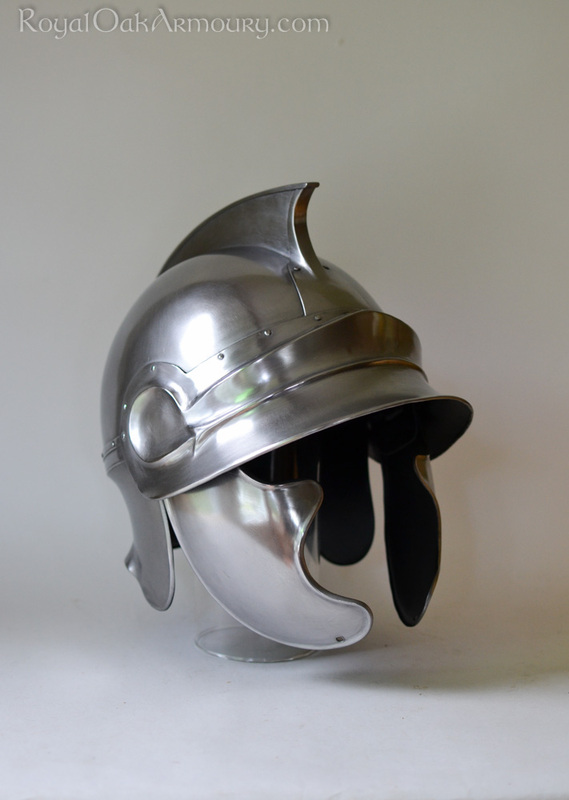 Unlike many Hellenistic Thracian helmet finds, the model shown is not decorated with portrait heads at the brow and temples, though their inclusion is an available option. Other possibilities would be a helmet made entirely from bronze and decorated with portrait heads, embossed ears and light facial hair, or a helmet in steel decorated with finely embossed silver appliqués. 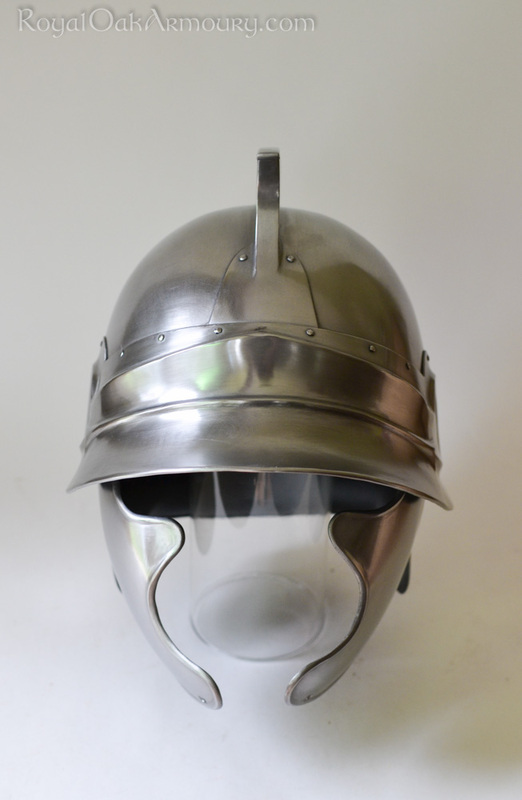 Contact us to inquire about pricing for options.